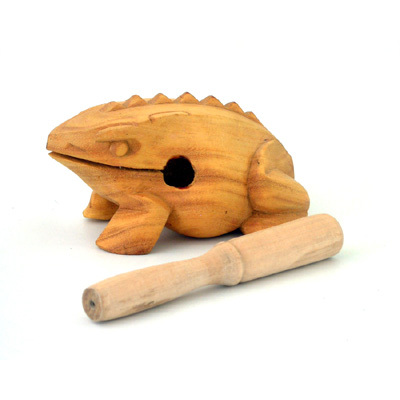 This croaking frog is made of untreated, unvarnished wood in Vietnam. Striking their backs produces the froggy "ribbit" sounds. High quality with a good loud sound.